Attractive and versatile event seating at an affordable price! These sleek, contemporary folding chairs from OFM are the answer to your indoor or outdoor special event seating needs. Whether it be a party, graduation, conference or meeting this chair has the features your looking for; like a durable, easy to wipe clean seat and back, stable 8 gauge powder coated steel frame, built in carry handles, built in floor glides, built in ganging brackets (link chairs into rows), lightweight for easy mobility and a folding function that lets you put the chair away while saving on space. Also, capable of matching any décor with (5) inviting color choices. These chairs meet or exceed ANSI/BIFMA standards. Dimensions: Seat size: 15.35"W x 17.44"D. Back size: 16"W x 6.1"H Overall height: 30.6”. Limited lifetime warranty from OFM. 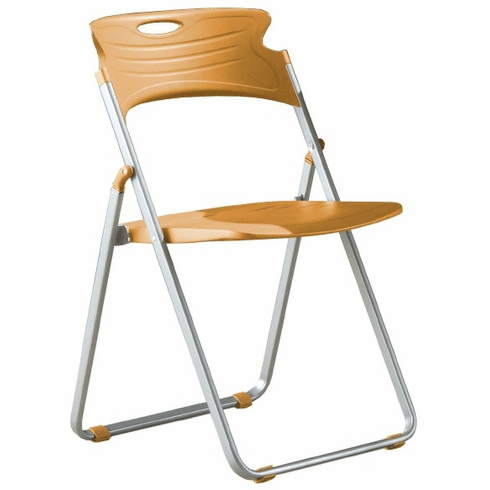 These OFM folding chairs normally ship within 1-2 business days from our NC or AZ warehouse.